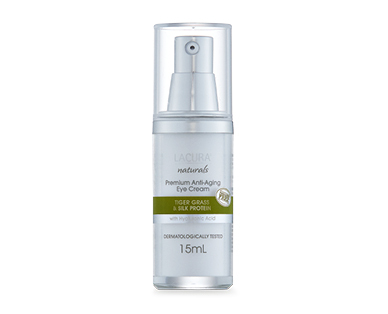 The LACURA® Naturals Anti-Aging Eye Cream is fragrance free and glides on smoothly around the delicate aye area. It contains tiger grass which is known to have a soothing effect and silk proteins for healthier younger looking skin. Contains hyaluronic acid to increase skin elasticity and helps minimise the appearance of fine lines and wrinkles.